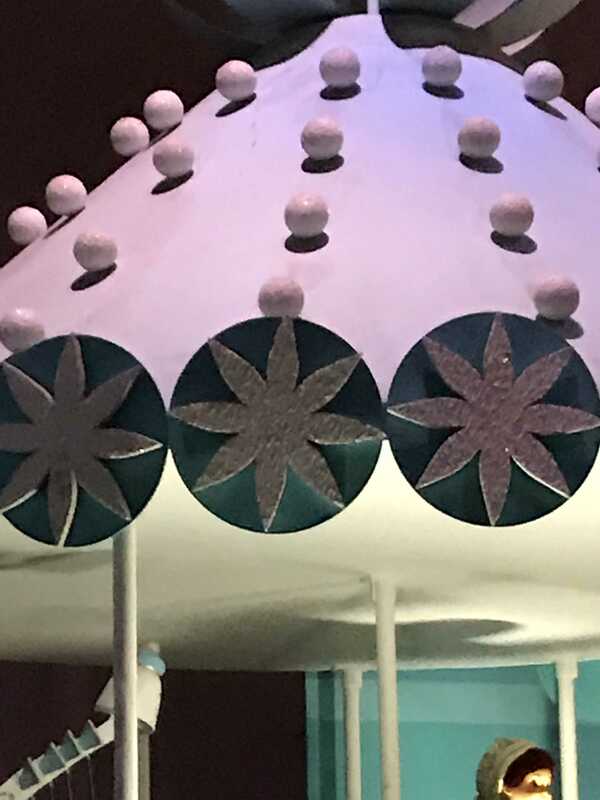 It is the final week of August and most of the art galleries in NYC are closed so for fun I decide to write about the mathematics of Mary Blair’s artwork for the “It’s a Small World” ride at the Magic Kingdom. On a family vacation earlier this year while riding one of my favorite rides I noticed how many types of symmetry were involved in the design. I found numerous examples of rotational symmetry. Here is a series of flowers with order 8 rotational symmetry. 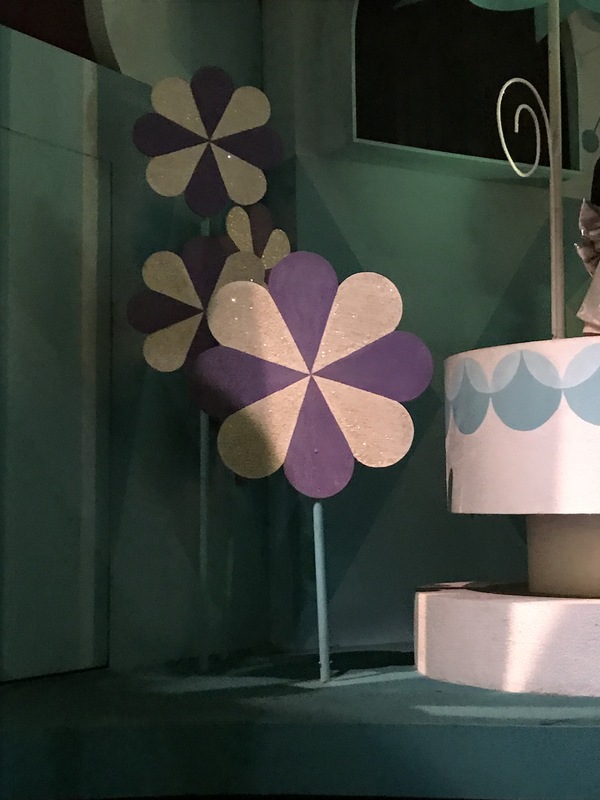 These flowers have order 4 rotational symmetry because of the alternating colors . 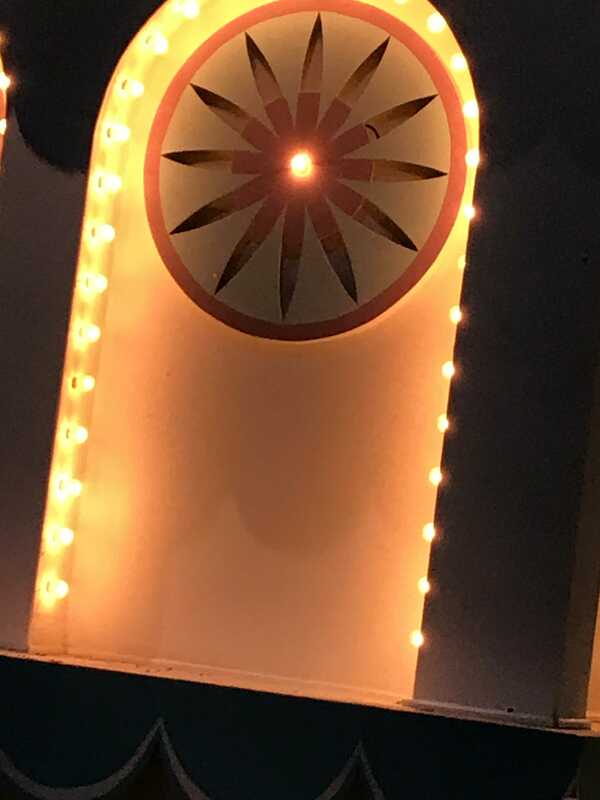 This decoration with order 12 rotational symmetry and it actually rotates! I hope everyone is enjoying their Summer Holidays. Next Month I am back to the galleries.